“Whosoever will be saved, before all things it is necessary that he hold the Catholic Faith; Which Faith except every one do keep whole and undefiled, without doubt he shall perish everlastingly. 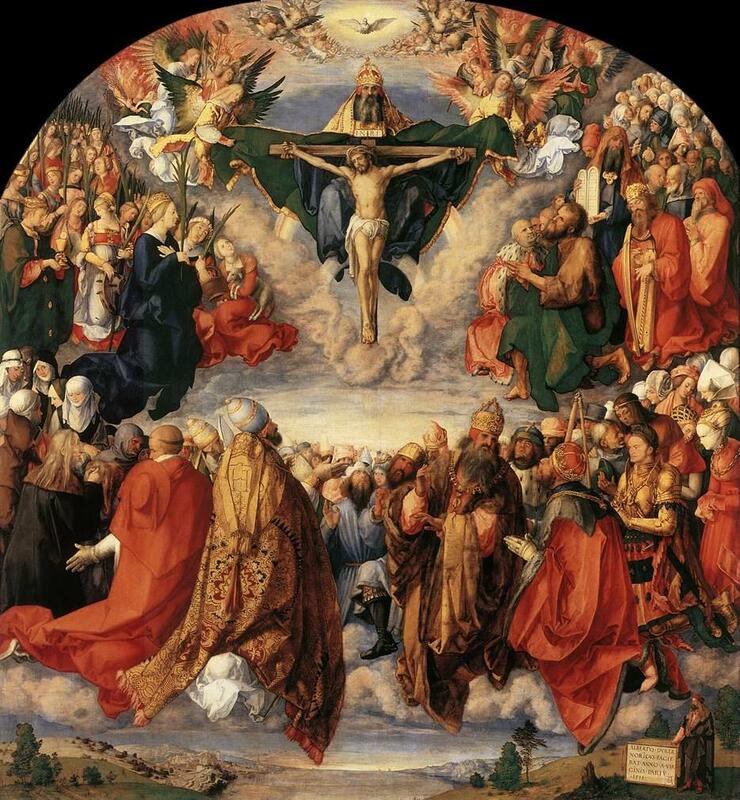 And the Catholic Faith is this: That we worship one God in Trinity, and Trinity in Unity; Neither confounding the Persons nor dividing the Substance. For there is one person of the Father, another of the Son, and another of the Holy Spirit. But the Godhead of the Father, of the Son, and of the Holy Spirit is all one, the glory equal, the majesty coeternal. Such as the Father is, such is the Son, and such is the Holy Ghostt. The Father uncreated, the Son uncreated, and the Holy Ghost uncreated. The Father incomprehensible, the Son incomprehensible, and the Holy Ghost incomprehensible. The Father eternal, the Son eternal, and the Holy Ghost eternal. And yet they are not three eternals but one eternal. As also there are not three uncreated nor three incomprehensible, but one uncreated and one incomprehensible. So likewise the Father is almighty, the Son almighty, and the Holy Spirit almighty. And yet they are not three almighties, but one almighty. So the Father is God, the Son is God, and the Holy Spirit is God; And yet they are not three Gods, but one God. So likewise the Father is Lord, the Son Lord, and the Holy Ghost Lord; And yet they are not three Lords but one Lord. For like as we are compelled by the Christian verity to acknowledge every Person by himself to be God and Lord; So are we forbidden by the Catholic religion to say; There are three Gods or three Lords. The Father is made of none, neither created nor begotten. The Son is of the Father alone; not made nor created, but begotten. The Holy Ghost is of the Father and of the Son; neither made, nor created, nor begotten, but proceeding. So there is one Father, not three Fathers; one Son, not three Sons; one Holy Spirit, not three Holy Spirits. And in this Trinity none is afore or after another; none is greater or less than another. But the whole three persons are coeternal, and coequal. So that in all things, as aforesaid, the Unity in Trinity and the Trinity in Unity is to be worshipped. He therefore that will be saved must thus think of the Trinity….” (From the Athanasian Creed). Such was the resounding Catholic Confession in our churches… until the latter, with our Catholic institutions, have been usurped and instrumentalized by the enemies of the Crucified (cf., “The Year 1929” and the Apostasy of Vatican II Neo-Catholicism out of the very blasphemous mouth of its ‘Pontifex’ Bergoglio). As we said before, so now I say again: If any one preach to you a gospel, besides that which you have received, let him be anathema (Gal. 1.9). This entry was posted in Christian Life, Doctrinal Instructions, Traditional Roman Catholic Order and tagged Antipope Bergoglio, Holy Trinity, Neo-Catholicism, Vatican II. Bookmark the permalink.